We are pleased to be invited to share more ideas about lighting use in exhibitions during the Hong Kong International Jewelry Show on 1/3/2019. ​Along with the Head of Creative and Head of Exhibition Services of HKTDC ( Hong Kong Trade Development Council) as well as their talented in- house designers, Tino analyzed ways to further improve event organizers design work with better lighting arrangements. We are exhilarated to announce that Mr. Tino Kwan has been inducted into the Interior Design Magazine CN Hall Of Fame 2018! On December 12, Interior Design China once again drew the industry’s best and brightest at InterContinental Beijing to celebrate honorees of its 12th annual Hall of Fame (HoF) Awards. Editor in chief kicked off the event with a warm welcome before inducting the 2018 honorees. This year’s inductees include Mr. Tino Kwan of Tino Kwan Lighting Consultants,. From the inductees to the guests to the sponsors, Hall of Fame once again proved to be a night filled with the dynamic and inspiring talent that abounds in the design industry. The 8th Asia Pacific Hotel Design Annual Meeting was held at the W Hotel in Xian on November 2-4, 2018. The meeting concluded successfully with the enthusiastic participation of designers. The annual meeting lasted for three days and themed ‘break boundary’. World-renowned designers, architects, academics and experts in hotel management gathered at the meeting to discuss the new trend of hotel design together. In the 2nd November evening, the subcommittee welcomed our world-renowned designers with the ‘Tang Dynasty Grand Welcoming Ceremony’. The ceremony was also known as ‘The best in all the land’, which originally served the distinguished guests. Earlier, the Prime Minister Narendra Modi of India was also served with the ‘Tang Dynasty Grand Welcoming Ceremony’. An array of ‘officials” wear Tang Dynasty costumes formed up with the antique warriors and palace maids to welcome our designers as if coming back to the Xian at Tang Dynasty. 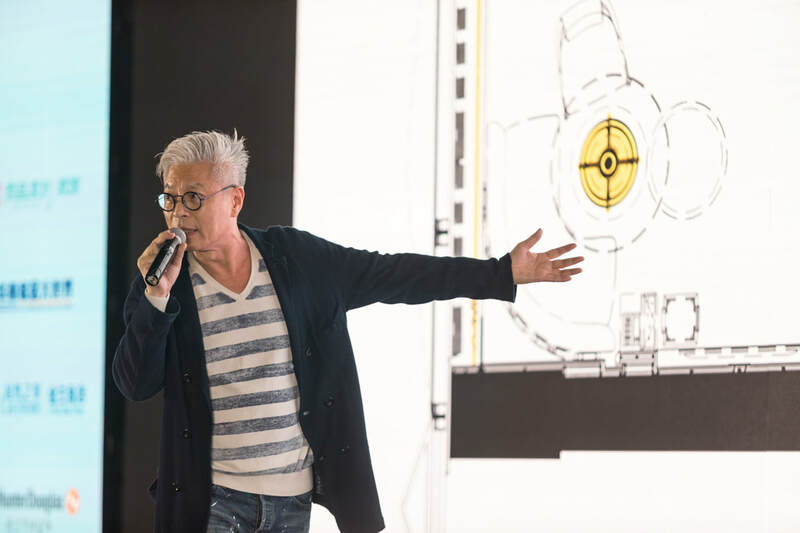 Tino Kwan, the world’s top hotel lighting master, has introduced his one of the lighting design projects – Murray Hotel at the annual meeting. Murray Hotel, previously known as Murray Building. Its meticulous window design prevented excessive direct sunlight from entering the room and it has won the merit award for Hong Kong Energy Efficiency Awards competition. The Murray building has now become international five-star hotel in Central. Being the lighting design consultant of Murray Hotel, Kwan made good use of the hotel design that can receive sufficient sunlight and used different lighting equipment in different scene so as to create the most comfortable living atmosphere and illumination. Take the hotel lobby as an example, Kwan used the high-powered linear wall washers to enhance the shape and background of the curved lobby reception, and made good use of cove light to illuminate the aisle of the elevator. Other world-renowned designers included Bill Bensley, Wannaporn ‘Pui’ Phornpraph, Mun-Summ Wong, Alan Chan, Steve Leung, Joe Cheng, Ed Ng, etc. They shared their own design philosophy and insights, and also talked about the challenges and difficulties they were facing in the design process. 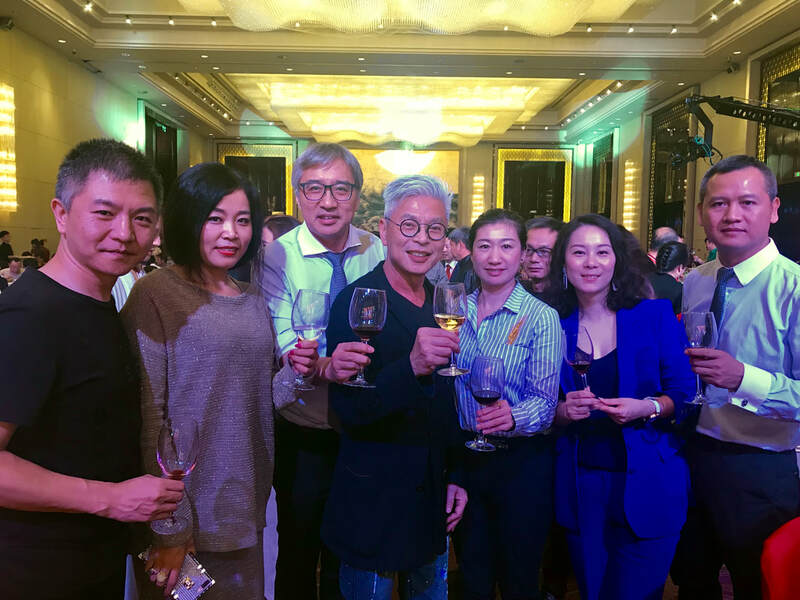 The 8th Asia Pacific Hotel Design Annual Meeting was held successfully with the support of the world-renowned design masters and general designers. We hoped that Asia Pacific Hotel Design Annual Meeting will get better and better, like the theme this year - ‘break boundary’, We broke the old boundary but never forget why we started to design. 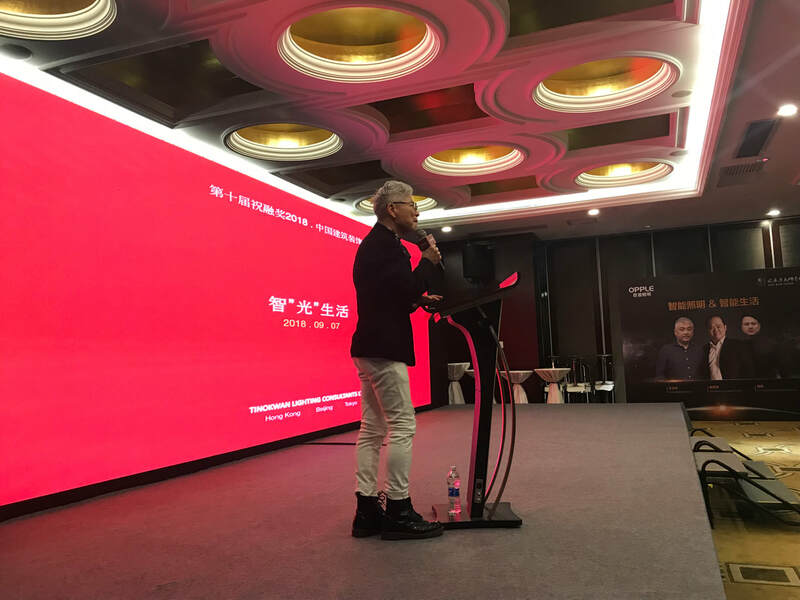 8 world-renowned designers gathered at the Hilton Wuhan Optics Valley for being the lecturers of “Ten Lectures: Asian Design and Art” on October 12th – 13th, 2018. 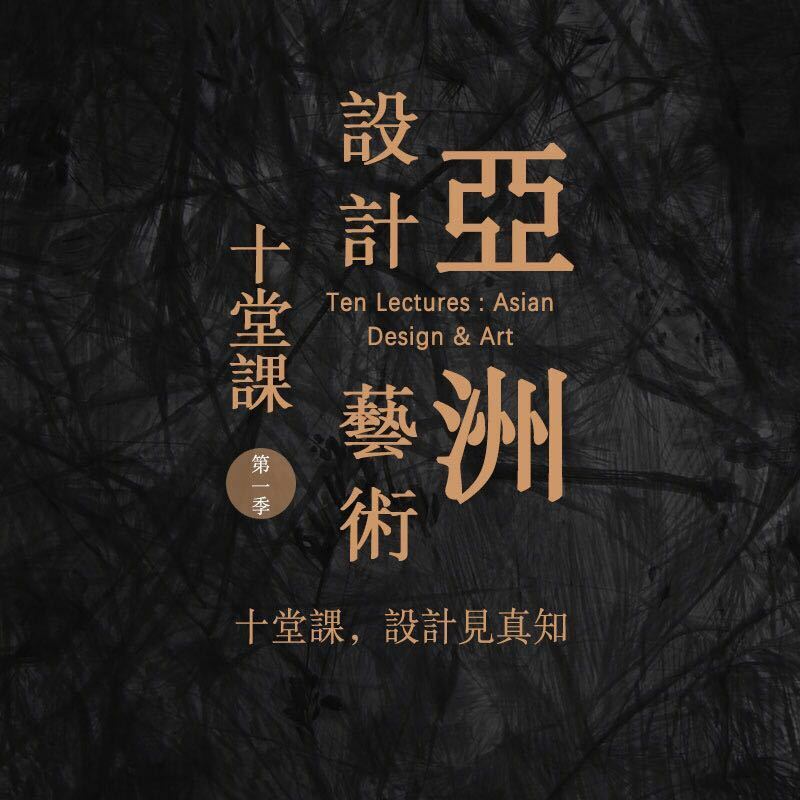 “Ten Lectures: Asian Design and Art” was fully supported by the China National Interior Decoration Association. The lectures were tailor-made and taught by eight world-renowned designers, which help to cultivate our future designers. To accurately understand the real needs of our designers, the subcommittee deliberately surveyed more than 2,000 designers finding out seven core modules that the designers were eager to learn, including Design thinking, Lighting design, Art of design, New materials, Furnishing arts, User experience design and Space design. The subcommittee then invited ‘8 design masters’ to serve as guest lecturers for each core module. Tino Kwan, the world-renowned lighting designer, was responsible for the lighting design one. The potential for future development of lighting design is immeasurable. Being a grandmaster of lighting design, Tino Kwan introduced the subtle relationship between lighting design and space to the designers. Color, luminosity and Illuminance, all these would affect the spatial levels. How to use the minimal lighting equipment to achieve maximum lighting effect is definitely a wisdom. In addition, Kwan pointed out some common mistakes made by general lighting designers with real projects and propose improvements. Students have a deeper understanding of lighting design and gain much in the lecture at last. After the lectures, there was a questioning session consolidating students’ knowledge through the interaction. Since Kwan’s birthday was approaching, the subcommittee prepared a birthday surprise for Kwan. Over 800 designers and friends celebrated together and witness this warm and memorable moment. "Ten classes to know the truth of design" is not just a slogan. It is an anticipation, an anticipation that expects designers to further pursue design knowledge. After these ten lessons, It is believed that the designers will definitely acquire correct and profound design knowledge, and the growth of their own design value. 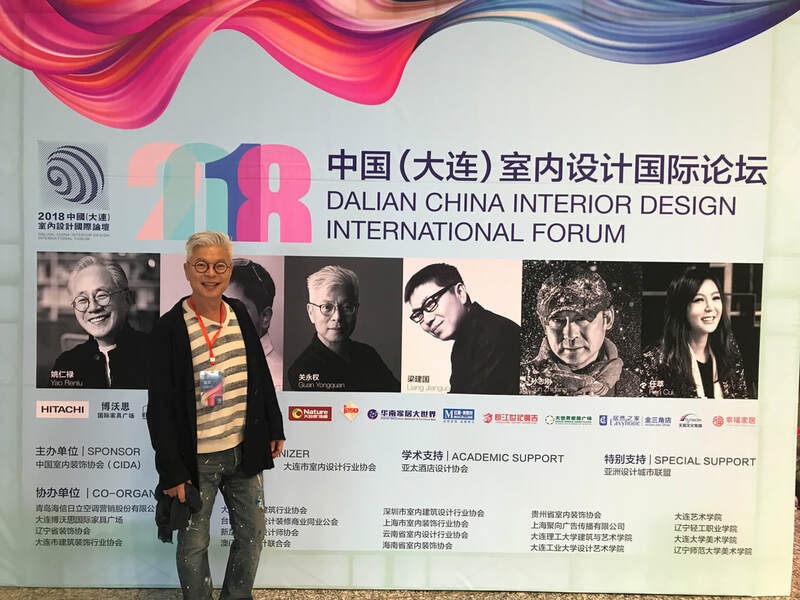 On 19th September, 2018, the 3rd International Interior Design Forum was held successfully at the Dalian International Conference Center in China. 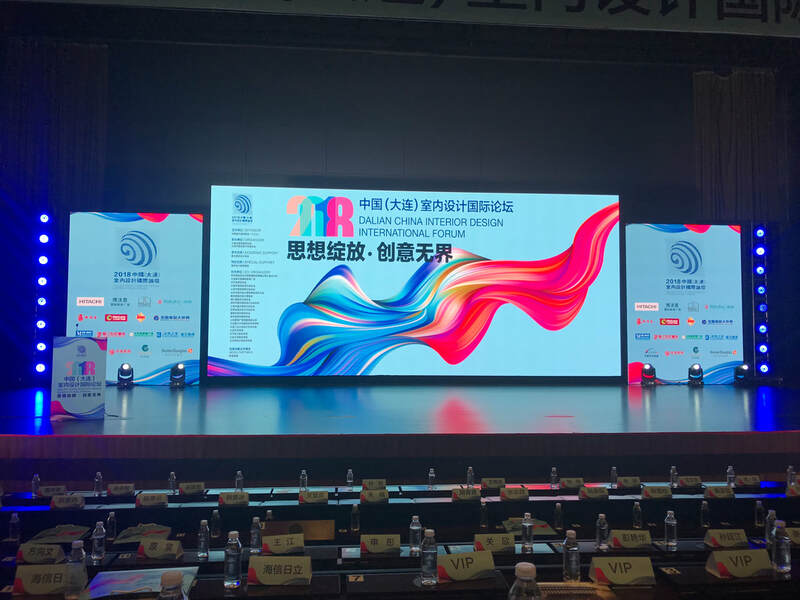 The forum was organized by the China National Interior Decoration Association (CIDA) together with Dalian Indoor Decoration Association and Dalian Interior Design Industry Association. The forum has achieved an unprecedented success. 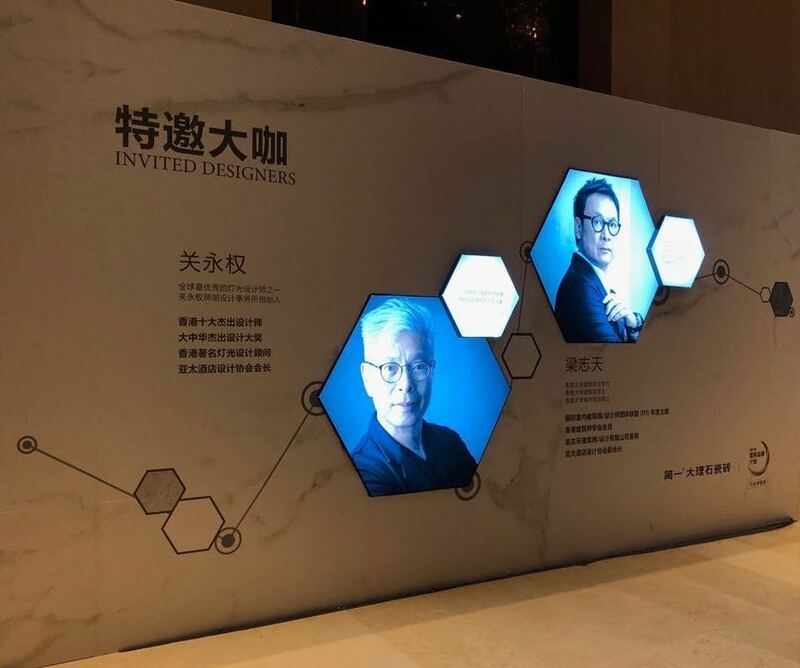 As an important international cultural event of Dalian, the forum invited many famous local and international designers to attend and deliver a talk. The renowned designers shared some cutting-edge design concepts and innovative design techniques with the audience. In the morning, the forum was started with the talk of Mr. Eric Yao, the international -renowned architect, and Mr. Ganesan Madasamy, the senior partner of HBA Singapore. Mr. Eric Yao presented the topic of relationship between innovation and designs and Mr. Ganesan Madasamy talked about his hotel designs. Their presentation was in-depth and inspiring. 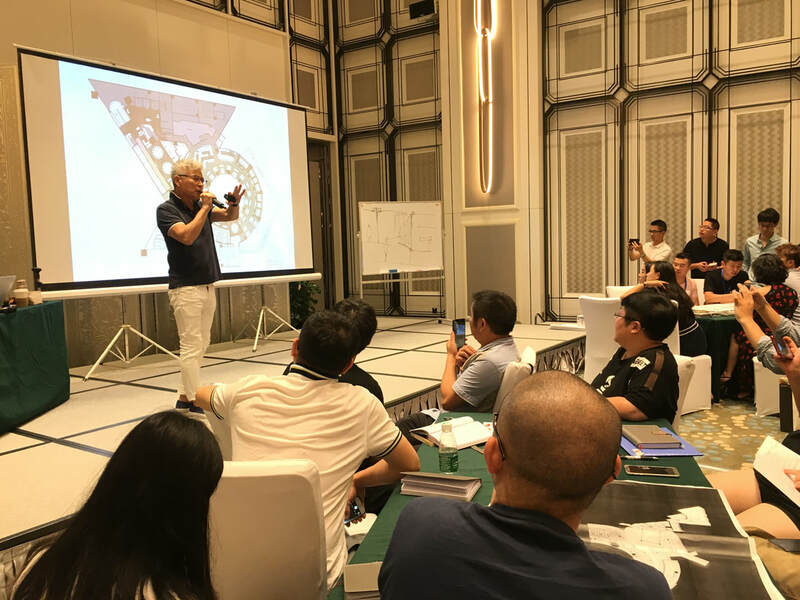 In the afternoon session, the forum was led by Mr. Tino Kwan, the world-renowned lighting designer and the president of the Asia Pacific Hotel Design Association (APHDA). During the talk, Kwan humorously shared his experience as a lighting designer with his own design projects and he specified the design difference between illumination and lighting. The forum was a breath of fresh air that inspired the audience a lot. The forum was ended with a superb discussion forum. World-renowned designers were gathered together and shared their design experience on the stage. Their sharing definitely create some sparks of design and match the theme of the forum . 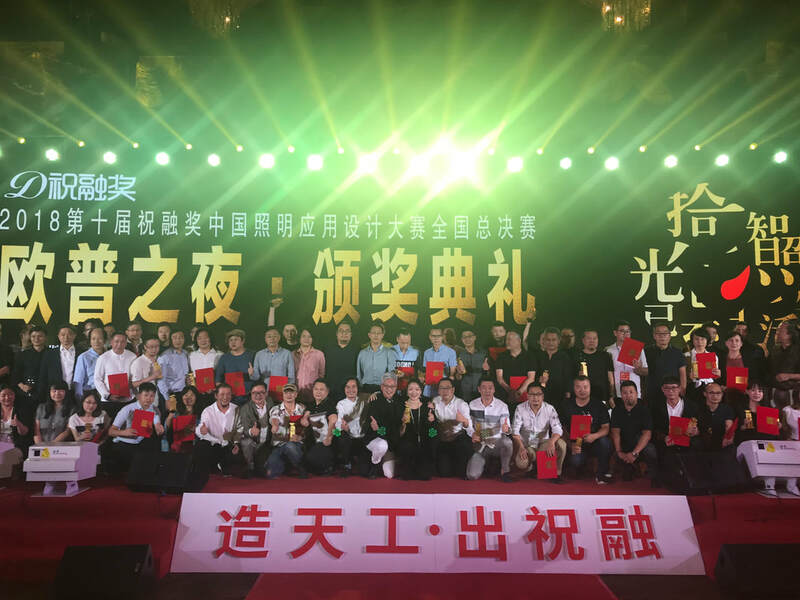 At night, the China National Interior Decoration Association (CIDA) together with Dalian Indoor Decoration Association and Dalian Interior Design Industry Association organized an awards presentation ceremony to encourage young designers in Dalian hoping that they will become the backbone of the design industry. In September, several internationally renowned designers gathered in Dalian. 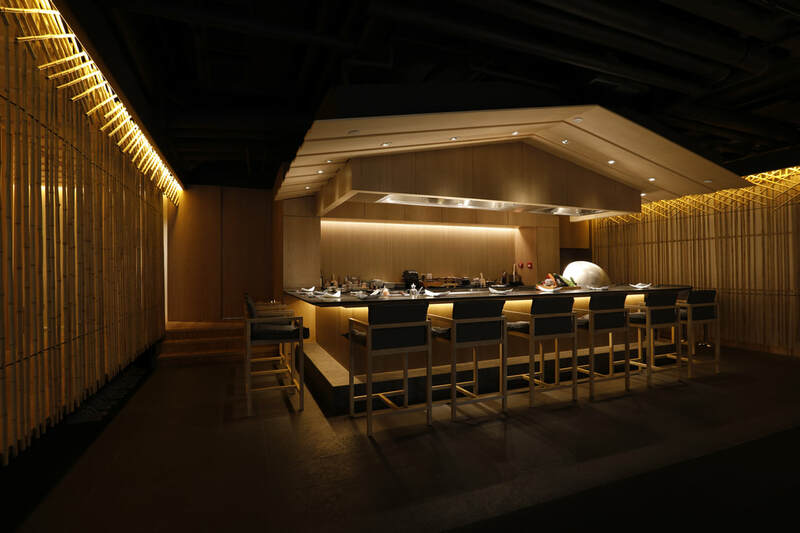 They evoked a new wave of motivations and possibilities to the Asian design industry. It is hoped that designers who presented in the forum will bring a new look to Dalian and its design industry. 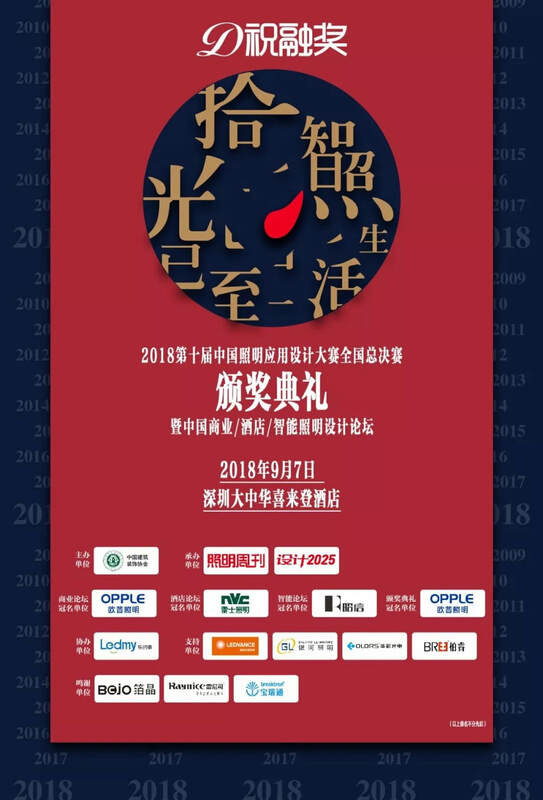 On 7th September, 2018, the 10th Zhu Rong Awards -- China National Lighting Design Competition Awards Ceremony -- and China Commercial / Hotel / Intelligent Lighting Design Forum has completely ended in Sheraton Shenzhen Futian Hotel. In these ten years, many designers have forged ahead with Zhu Rong Award and together experienced the rapid pace of change in the design world. With the rapid development of technology, intelligence has become an important part of lighting design. 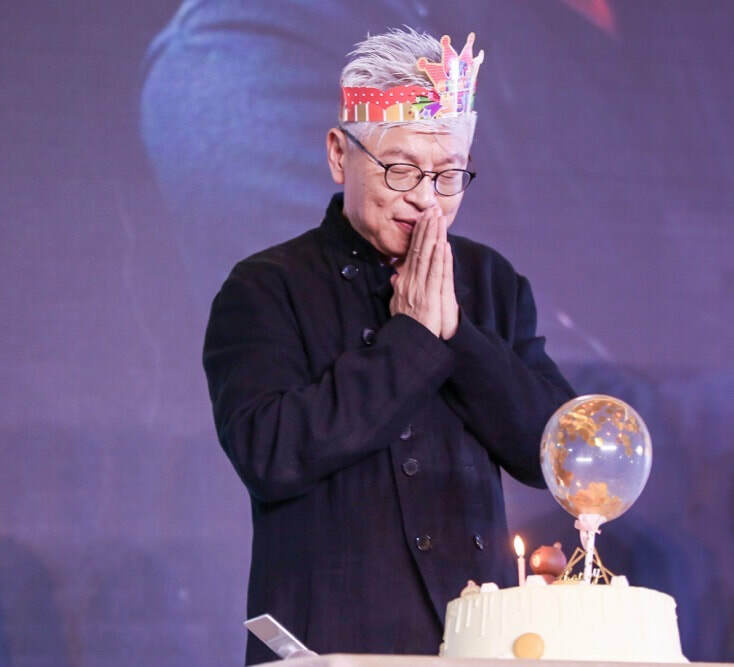 Tino Kwan, the Principal Consultant of TinoKwan Lighting Consultant Ltd. and President of Asia Pacific Hotel Design Association (APHDA), delivered a speech on "Life with Intelligence and lighting design". He pointed out some common mistakes of lighting designers and introduced his lighting design characteristics in the forum. The designers gained much from the examples that Kwan provided. After the forum, the awards ceremony was about to begin. 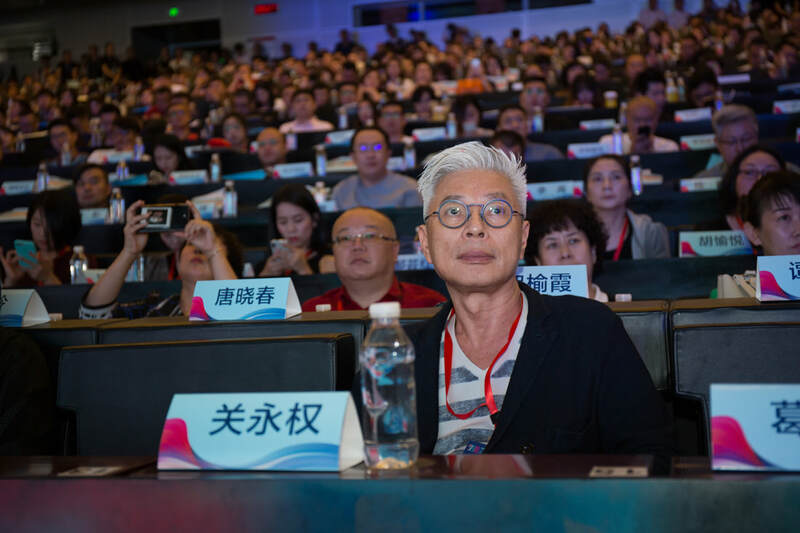 As a representative of the Zhu Rong Judging Committee, Kwan expressed his expectations and affirmation on the development of Zhu Rong Awards, and attached a great importance to the future development of the lighting design industry. The awards ceremony perfectly ended in a wave of awards presentation. 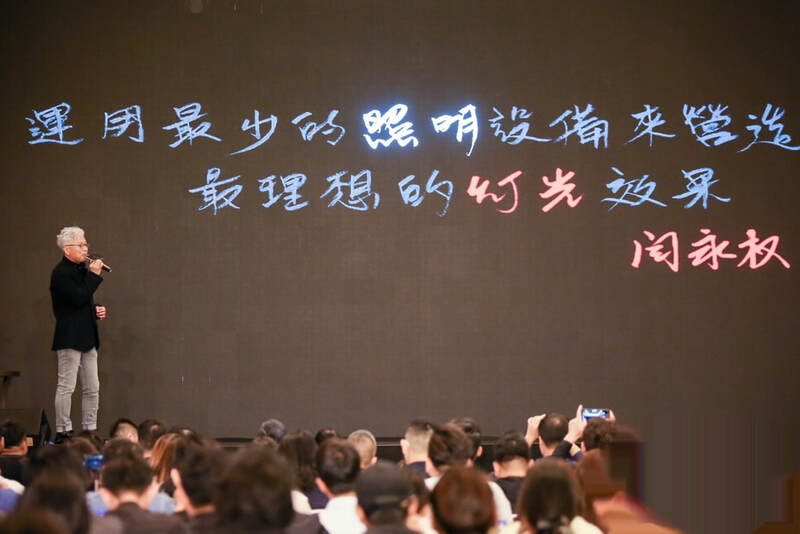 Through this Zhu Rong Awards Ceremony, a new batch of ambitious designers will rise in the lighting design industry and it is believed that they will become an indispensable new blood in industry. 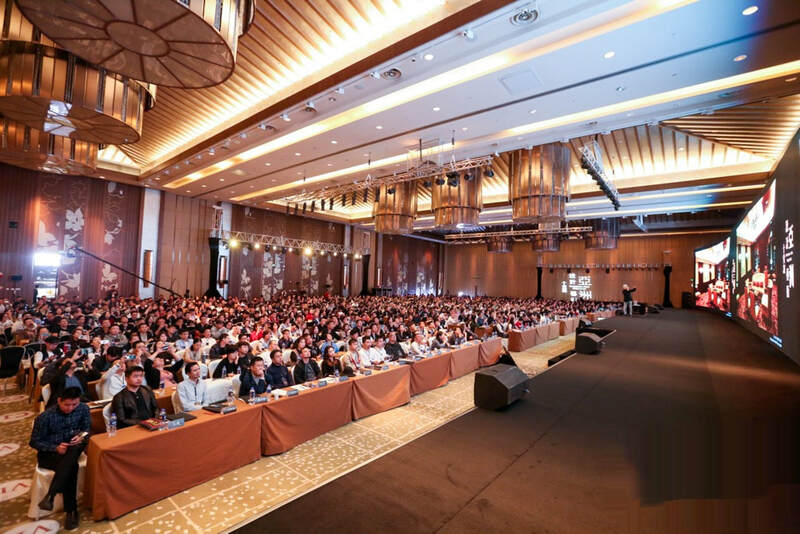 "Create the Beauty of Nature 2018", organized by Gani Marble Tile together with Asia Pacific Hotel Design Association, was concluded successfully in the Wanda Vista Nanning on May 16, 2018. The event aimed at promoting an environmental friendly home lifestyle. It attracted more than 1000 people including designers and art students. In addition, "Create the Beauty of Nature 2018" combined the 3D holographic naked-eye projection and dancing performance to convey the design concept of inheriting the natural beauty, respecting nature and advocating man to live with nature in a harmonious manner. Mr. Tino Kwan, the principal of TinoKwan Lighting Consultants Ltd. and president of Asia Pacific Hotel Design Association, shared his thought and experience on lighting design in the event. 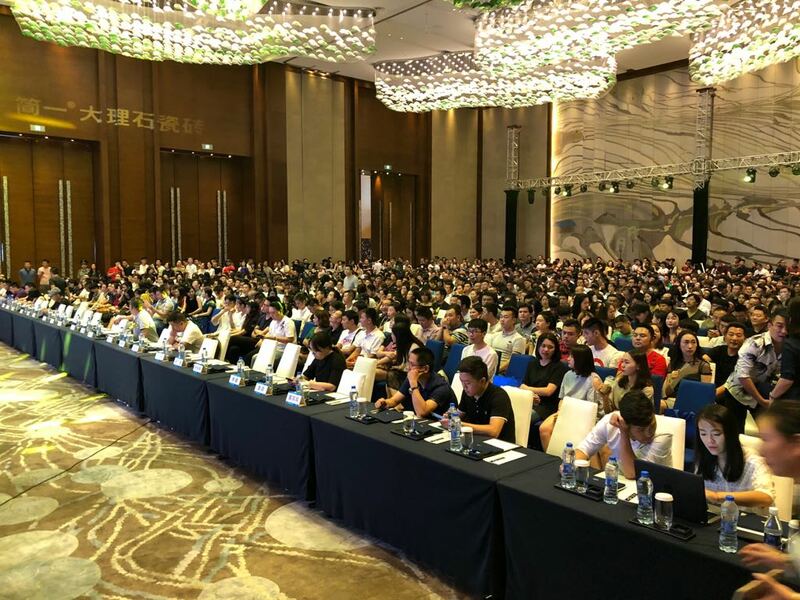 Organized by Asia Pacific Hotel Association and co-sponsored by Santan lighting and Shining One lighting, the three-day Nanjing Master Training Camp 2018 was concluded successfully on 19th August. The camp aimed at teaching basic lighting technics and putting innovative ideas into practice through workshops. 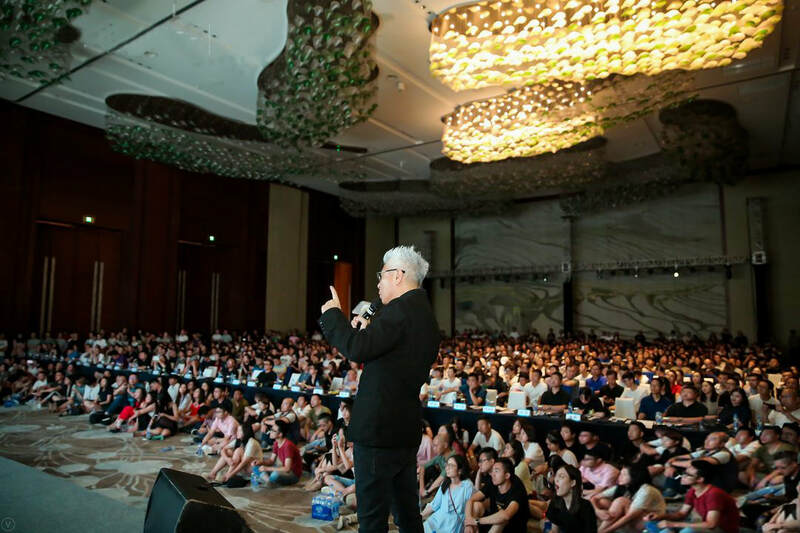 On August 17-19, 150 elite designers gathered at the Nanjing International Youth Cultural Center to participate in the three-day Master Training Camp 2018. 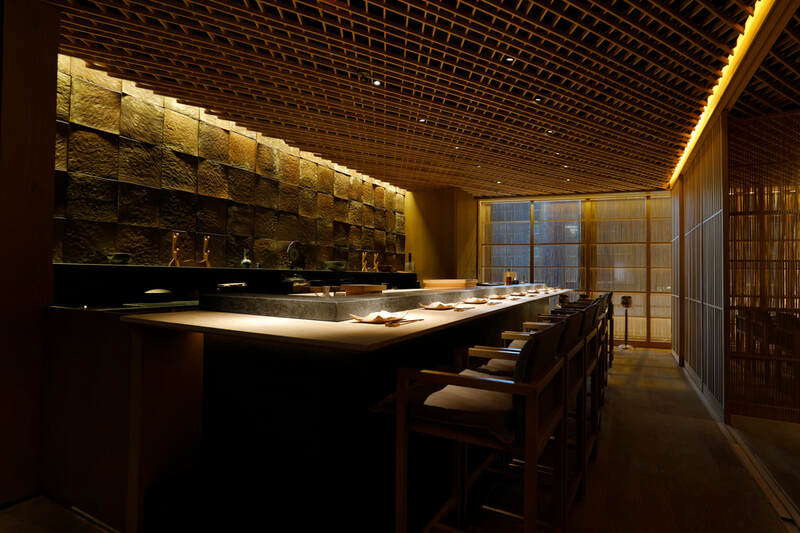 During the three-day training camp, Mr. Tino Kwan introduced the selection of lights and lighting design in restaurant and private residence. The in-depth and theoretical case studies allowed the designers to gain a better understanding of professional lighting designs. In addition, putting ideas and theories into real practice is one of the characteristics of Kwan’s classes. During the classes, Kwan carried out hands-on instruction and let designers sketch their lighting plans. They also worked together to find out the most reasonable solution for problematic designs. After the classes, we provided a banquet for designers to relieve the intense learning atmosphere. 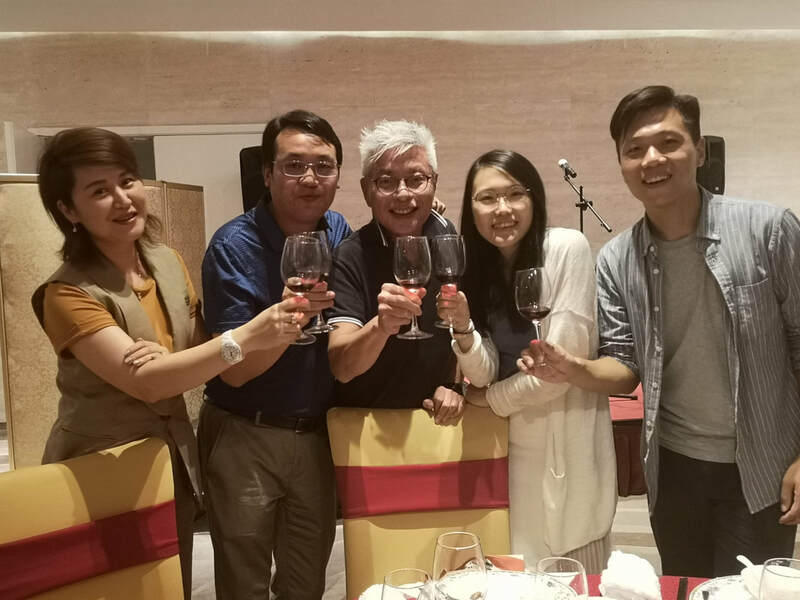 Kwan was easy-going and got along with the designers very well and the three-day Nanjing Master Training Camp concluded successfully in a joyous atmosphere.